You know how people say that it is their dream to become successful, to become rich, to become famous? Well, I think most people just want to eat all those delicious food without becoming fat. I think if people are absolutely honest, then everyone will say that they wish they could eat more without the concern of developing a huge belly. So you think you are a fitness freak? You are looking after your body by replacing normal sodas with diet sodas. You have no worries since diet sodas will cut down your calories. Well, I’m afraid you are wrong. According to recent studies, diet sodas contribute more to belly flab than normal sodas do. 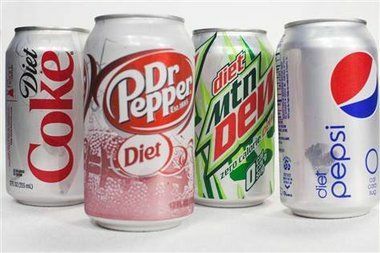 People who have consumed diet sodas have developed more belly than those who have not. While there is no certain reason for diet sodas contributing more to developing bellies, researchers believe that drinkers overestimate the number of calories they are saving by drinking diet sodas. As a result, they eat more of other things. Alternative- Instead of drinking diet sodas, you should try drinking White Tea. The White Tea blocks the formation of new fat cells. Instead, it concentrates on helping the body to break down stored fat. So even if you are eating then it becomes hard for your body to store the fat. This is a great way of slimming down and maintaining a flat stomach.